The magazine ELM once again introduces a variety of literary figures and their work, delicate translations, honest reviews and plenty else. The 45th edition of the ELM is already on its way to the International Book Fairs in Frankfurt, Gothenburg and Turku. Maarja Kangro, the focus of the cover story, speaks candidly: “Breaking into new spaces or the attempt to do so is my raison d’être in art. That sounds rather idealistic, but I suppose I’m also able to enjoy art that’s made entirely by conventions, or with explicit intentions to entertain.” This passionate interview is done by literary researcher Tiina Kirss. A few pages later, the Cultural Endowment of Estonia’s current poet laureate Vladislav Koržets admits that “it is the curse of a writer’s existence, that their own creations and work start to become the most important thing in the world,” and he shares other pearls of wisdom in the same humorous tone to Jürgen Rooste. Later on you can read about Maimu Berg, the Siuru literary group’s hilarious bohemians, translator and poet Adam Cullen’s vital breathing exercises, congealed blood in small Estonian villages from the world of Birk Rohelend and Katrin Pauts’ crime novels, and a presentation of Tallinn University Estonian Studies master’s program. The program’s curriculum is crafted for students whose native language is not Estonian, but who wish to study Estonia’s language, culture, history, and social and political topics in the English language. The Editor of the Autumn 2017 issue of the ELM is Berit Kaschan and graphic designer is Piia Ruber. 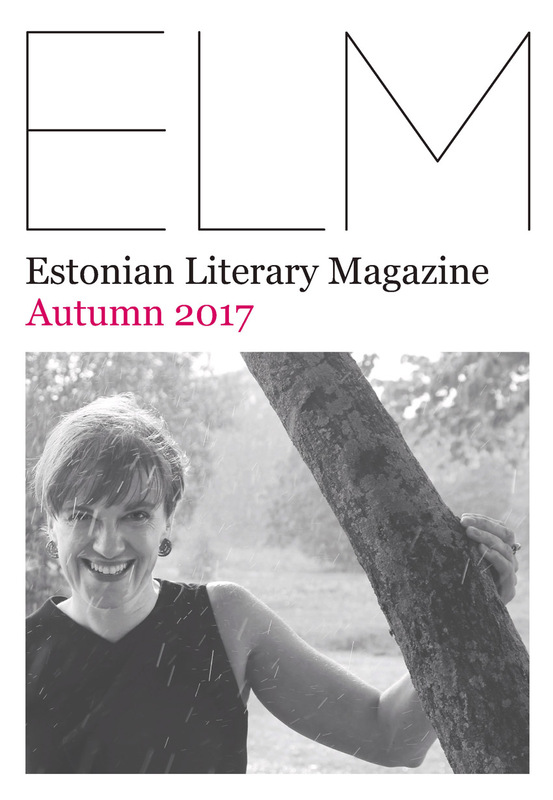 ELM is an English-language journal published by the Estonian Institute which aims to introduce the most exciting literary topics and Estonian contemporary authors to both domestic and international audiences. In Estonia the magazine can be found in larger libraries and the Estonian Institute’s Head Office (Suur-Karja 14, Tallinn). The Estonian Literary Magazine is published since 1995 with the support of the Ministry of Culture of the Republic of Estonia, and the Cultural Endowment of Estonia.